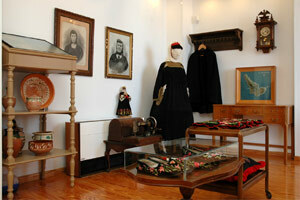 Situated in a traditional building, donated to the Municipality of Skopelos by the Nickolaides family, the Museum of Folk Art is exhibiting some of the finest handiwork made during the latter part of the 19th and through most of the 20th centuries. 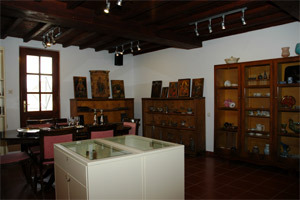 The centrepiece of the museum is the collection of valuable 19th and early 20th century embroidered cloths, traditional costumes, weaving and decorative pieces. 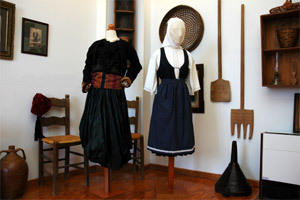 The Folklore Museum of Skopelos is a non-pompous and discreet look at the role and economy of three areas of handiwork practiced in Skopelos: that is, embroidery, weaving, and handicraft work - especially ceramics, works of woodcarvings, knives, agricultural tools and folk art paintings. 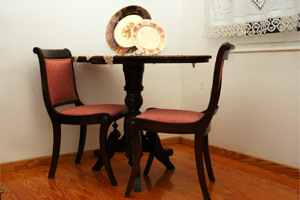 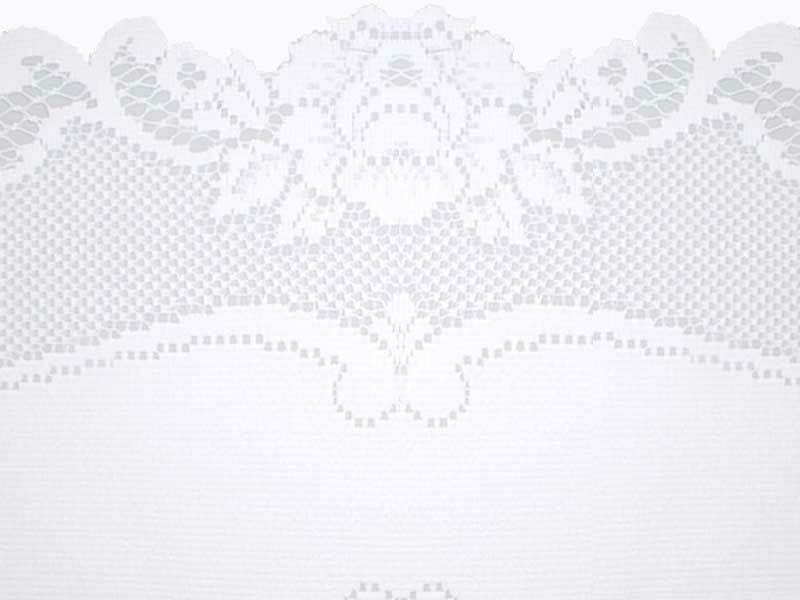 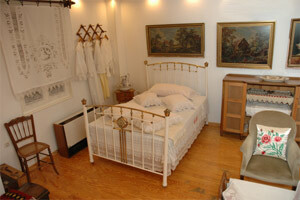 The collection is reminiscent of the décor that was practiced in the homes of Skopelitian families during the past. 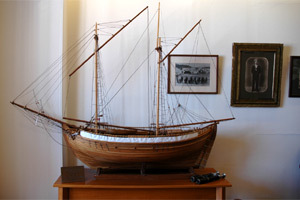 Important nautical exhibits as well as ship models are also on display, focusing on the local maritime tradition of the island.